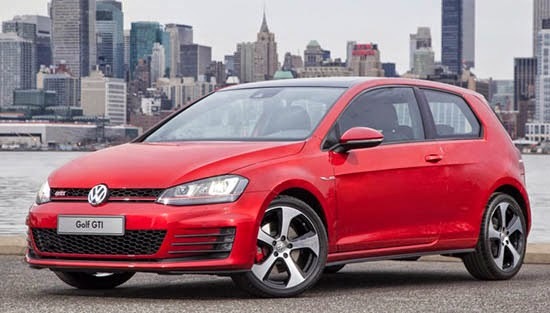 The all new GTI will start at $24 400. This is for the 6 speed manual. Which will be almost impossible to get unless you order one. Most will be actually priced at $1100 over that, which is the price of the Automatic option. While the top of the line $29 500 Autobahn model will only be available as a 4 door. (And include Navigation, power seat, climate control). $24 400 isn't bad. But $3000 extra for sunroof and leather isn't cheap. Still. The GTI is both fun and very practical. A rare option these days. I am actually interested in finding out how much the regular Golf will be. It was only offered in a basic one level before. But now it seems that VW will be pushing it in the US. With more versions and options available. It is a better car than the Jetta. Based on a much more modern platform. With a much, much better interior. Priced like a Scion RWD FR-S and loaded similar to 370Z. Or SI with more cargo which is cheaper than this. So it has some utility but there are better options for more cargo space. I guess if you really want that combi this might do it but pretty boring looking.